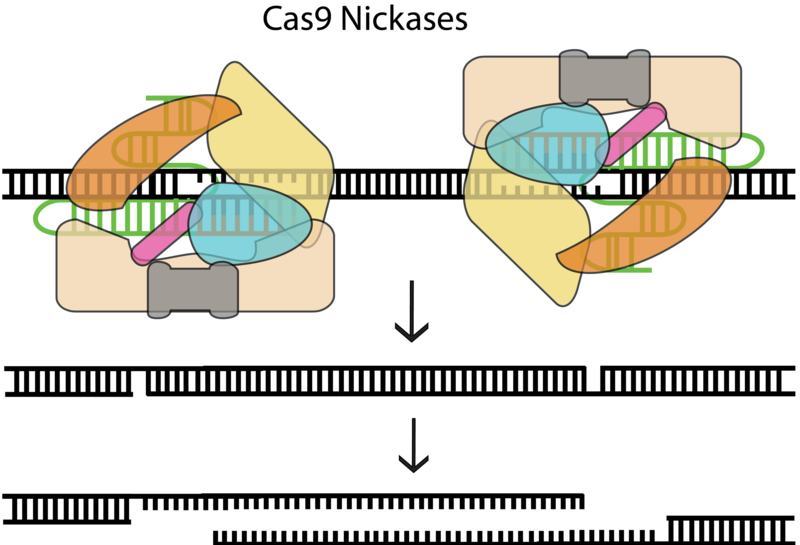 Nuclease domains of the Cas9 nuclease may be mutated independently of each other to create DNA “nickases” capable of introducing a single-strand cut with the same specificity as a regular CRISPR/Cas9 nuclease (Gasiunas et al. 2012). 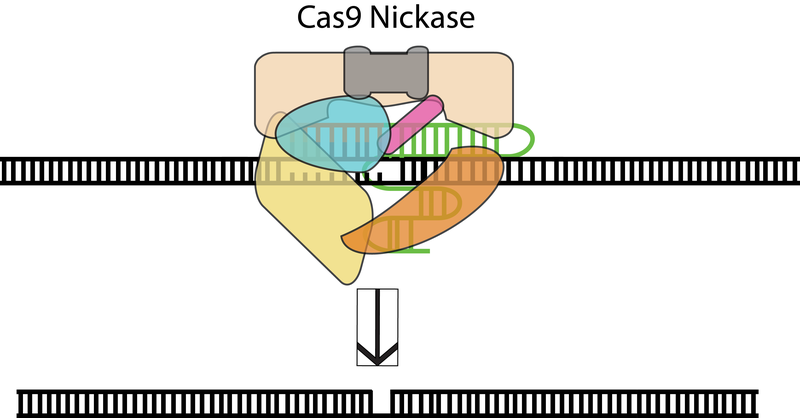 The use of Cas9 nickases is essentially the same as the use of the fully functional enzyme. Double-strand breaks can be introduced through the use of paired nickases for cooperative genome engineering (Mali et al. Aug 2013). A major difference for this approach is that, when two Cas9 nickases are used, long overhangs are produced on each of the cleaved ends instead of blunt ends. This provides even greater control over precise gene integration and insertion (Mali et al. Sept 2013). Because both nicking Cas9 enzymes must effectively nick their target DNA, paired nickases have significantly lower off-target effects compared to the double-strand-cleaving Cas9 system, and are generally more effective tools (Ran et al. 2013; Mali et al. Aug 2013).